ARU, Congo (CNS) — Armed men kidnapped two Catholic priests in the troubled North Kivu province. Congo’s bishops have asked security agencies to try to rescue the priests, who served at Our Lady of Angels Catholic Church in Bunyuka. Sgt. Philip Longwa, a police officer in Beni, said gunmen attacked the parish compound about 10 p.m. July 16. Longwa told Catholic News Service the kidnapped priests were Fathers Jean-Pierre Akilimali and Charles Kipasa. He said the gunmen also attacked a nearby convent and looted property. John Muke, a parishioner who lives near the church, told CNS he heard the attack. “I heard them shouting and abusing the priests. They asked for money and other valuables. They shot a few bullets in air to scare people from going to help the priests,” said Muke. The attackers also stole two Toyota sport utility vehicles and two motorcycles. The vehicles were abandoned in the village of Kavasewe, not far from Virunga National Park. Eastern Congo has multiple rebel groups — including some based in Rwanda — fighting government troops. 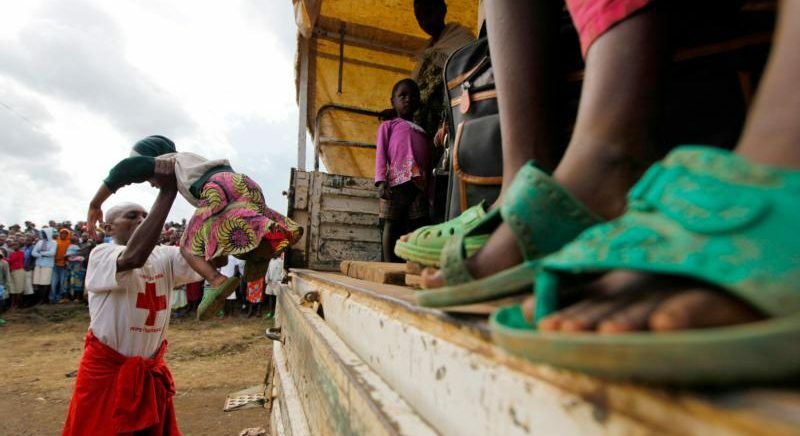 More than 992,000 Congolese were forced from their homes last year. In October 2012, three priests were kidnapped in North Kivu, and their whereabouts remain unknown. In the past few months, several parishes in eastern Congo have been attacked and property looted by armed men.